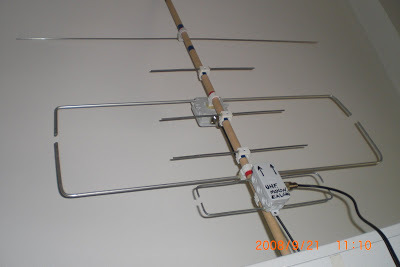 “FM ham satellites can efficiently be worked in two ways, one of them sitting in our armchair with a complex fix station at home and the other with our HT in one hand and a hand held antenna in the other. All of them require skill and knowledge. With this article I will try to do the task of working under portable conditions easier. 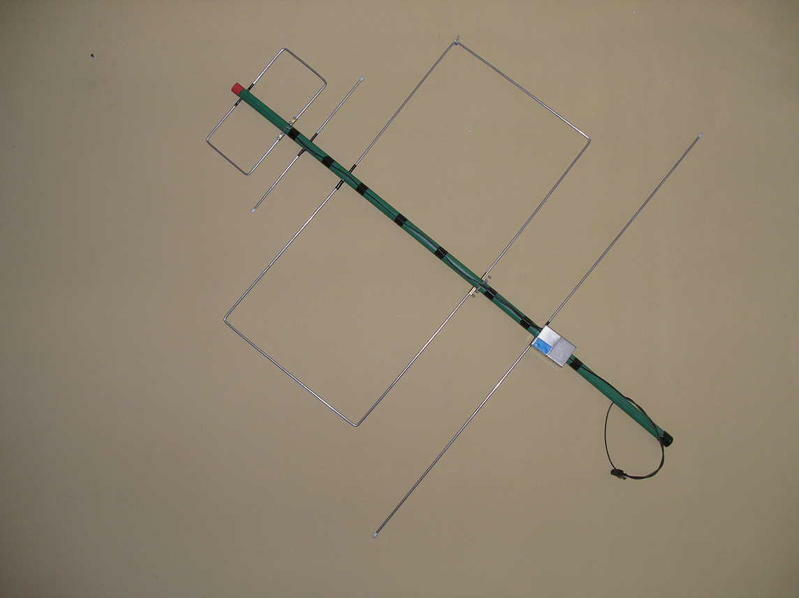 All of us have read about working LEO FM satellites with an HT and a whip antenna, and if it is possible a high gain one (Photo nº1). To be honest, it is possible but you need skill to pick the modulations up the noise, aiming the antenna, changing the frequency and avoiding going mad. So any help will be welcome. 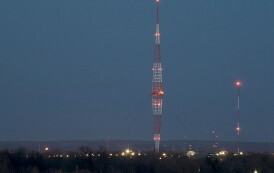 Some years ago the hams imagination who work satellites gave the outcome the Arrow antenna. 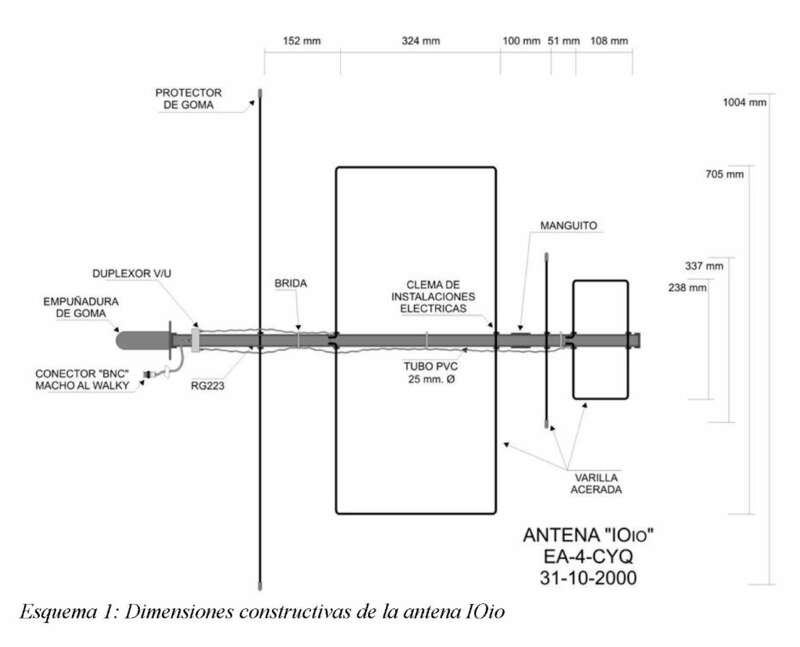 This is a hand held antenna with just a boom and two yaguis set 90º each other (Photo nº2). One of them a three elements VHF yagui and the other a seven elements UHF yagui. Both of them are connected to a tiny duplexer. I published and article in the Unión de Radioaficionados Españoles monthly magazine in January 2.005 about how to build it, of course the original is more lightweight, but I adapted it to be built with normal stuff and at the end it has the same performance. But the original Arrow and what I built have an advantage with side effects. 1.- It must be lightweight enough to be hand held. 2.- It must have enough gain to work LEO FM satellites comfortably. 3.- It must be two-dimensional and the assembly process would be fast. So I could put it away in little room into the trunk and we could fast set it up. 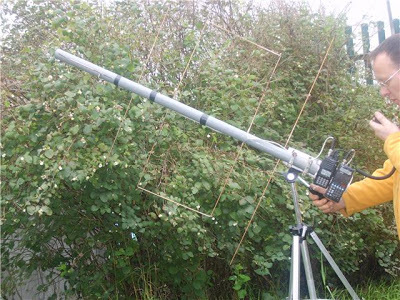 I am sure with these premises you can build several models, but I made myself a question, What kind of antenna could be built with the same gain of a yagui and less boom length?.